Washington Irving’s The Legend of Sleepy Hollow is a permanent part of our literary history. The town of Sleepy Hollow along with the headless horseman have become part of our national folklore. The spirit that haunts Irving’s Sleepy Hollow is the ghost of a Hessian trooper who has been decapitated by a cannonball during a Revolutionary War scrimmage. He rides wildly through the countryside at night seeking his head, but must return to his burial site before daybreak. Indiana has its own Sleepy Hollow located just outside of Frankfort, and it, too, has a haunting tale. You won’t encounter a headless horseman, but what they say you’ll find there is much more frightening. Clinton County’s Sleepy Hollow is located on a lonely road near a bridge spanning the South Fork of the Wildcat Creek. The story has its origin sometime in the 1800s. A farmer’s wife had just prepared and served the evening meal. No one knows why it happened or how it happened, but the seemingly docile wife had killed her husband. Had she taken all she could from a domineering, demanding man? Or had she simply gone mad? Did she use her iron skillet to end his life? To cover up the crime and dispose of the evidence – the body – she decided to cut him up into manageable pieces. Once this was achieved, she waited until it was dark. Then she loaded him onto the wagon and proceeded to Wildcat Creek bridge. Once there she began to toss him, piece by piece, over the bridge and into the creek. Later, she became fearful that someone would find the pieces. Night after night she went to the bridge to make sure there was nothing to be found. Even if she wasn’t out of her mind when she killer her husband, her guilt most certainly drove her insane. In fact, even after her death, she still protects her secret. Many have said that on this lonely road as you approach the bridge, she’ll appear as a light floating toward you in an attempt to scare you away. But if you’re really “lucky,” according to some stories you might encounter her husband rising from the creek – piece by piece. To find Sleepy Hollow, follow these directions – if you dare. Take State Route 28 west out of Frankfort until you reach West Mulberry – Jefferson Road. Turn right and follow the road until you come to 600-West. Continue on 600-West until you see the bridge – and perhaps something else. 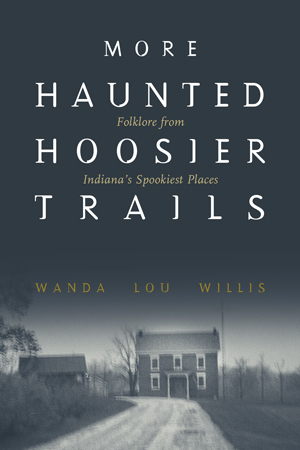 In More Haunted Hoosier Trails the author Wanda Lou Willis has many more chilling Hoosier tales waiting for you! 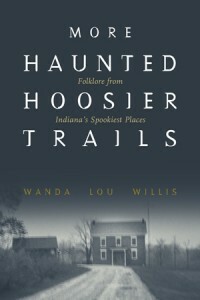 About the author: Wanda Lou Willis is a folklore historian who specializes in Hoosier folktales and historic research. She is a feature writer for the Indianapolis Star’s “Seniority Counts” Section and regularly appears on WXIN-TV’s early-morning show. 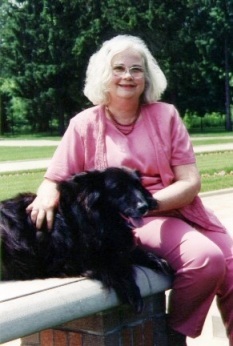 She has taught folklore for thirteen years through the continuing-education division of Indiana University – Perdue University Indianapolis and OASIS. A popular folklore presenter at schools, universities, libraries and historical societies, Willis has received recognition from National Geographic Magazine and the Smithsonian Institution. Wanda Loui Willis lives in Indianapolis, Indiana.